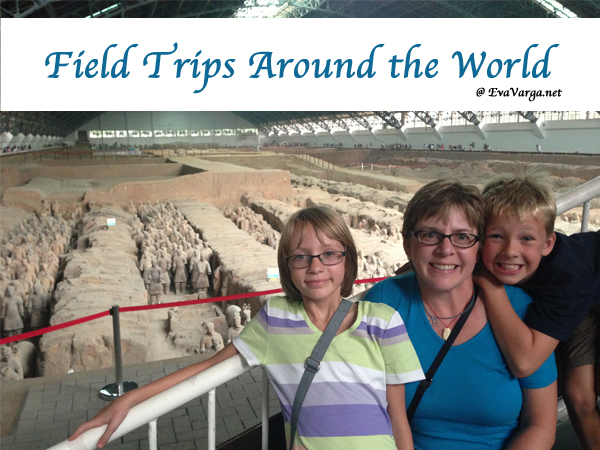 Travel has always been a major part of our homeschool lifestyle and we consider ourselves to be World Citizens. We do our best to immerse ourselves in other cultures while also learning more about our own nation’s rich history and geography. When I learned of the opportunity “to travel to Switzerland” with the CASE OF ADVENTURE Switzerland Unit Study, I knew it was the perfect fit for us. Whether your family enjoys traveling or has never traveled overseas, you’ll love how Cuckoo Clock Secrets in Switzerland makes learning come alive. Cuckoo Clock Secrets in Switzerland is the first book of the CASE OF ADVENTURE travel series. It centers around a homeschool family that travels regularly. Upon reading the first chapter, your kids will dive into adventure with Ren, Rome, Jake, Libby and Tiffany as they discover an ancient coin and a mystery connected with a cuckoo clock which takes them to the beautiful land of Switzerland. In their quest to solve the puzzle, they unearth some fascinating history and recover a lost fortune. We’ve have always had an eclectic, Unschooling approach to educating our children. Many of our most enjoyable learning experiences have been unit studies using a novel as our spine. We thereby relished in the opportunity to explore Switzerland in a unit study based on the novel Cuckoo Clock Secrets in Switzerland. It was a relaxed way to stay engaged in academics through the holidays. 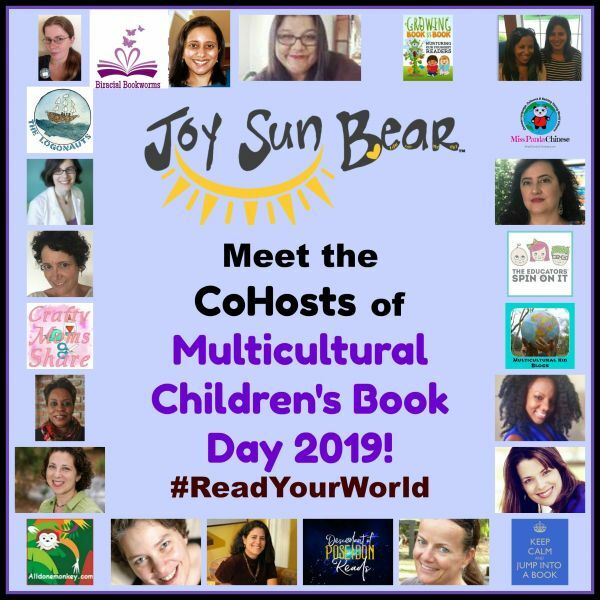 I began each morning reading aloud a chapter or two and then the kids would dive into the investigation suggestions (IDAs) at the end of each chapter. Several videos related to the content were suggested for each chapter. We thereby learned how cuckoo clocks were made, how ropes are made for mountain climbing, relative distances, the Protestant Reformation in Switzerland (a huge part of the mystery), and the process of cheese making. Huge metal vats of curds and whey were stirred with big metal arms and the curds cut into small blocks with wire slicers and then reheated. “How does the milk change into cheese?” asked Rome of Frau Von Allmen. “They add a culture to the milk. The culture is a bacteria which changes the cheese as you heat it,” she replied. 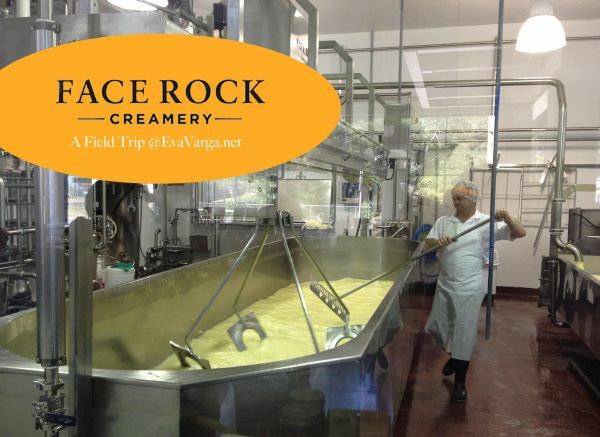 Upon reading about the family’s visit to the large cheese houses in the village of Gimmelwald, we revisited our own experience in cheese making at a local cheese factory. Inspired, we also enjoyed making cheese fondue and sampling a variety of Swiss cheeses we found at our local grocer. I love how living books can encourage further investigations and explorations of topics. Following these little rabbit trails are what make homeschooling so unique. After immersing ourselves in the Cuckoo Clock Secrets, it is no wonder that Switzerland has now bumped up on our “must see” countries list. 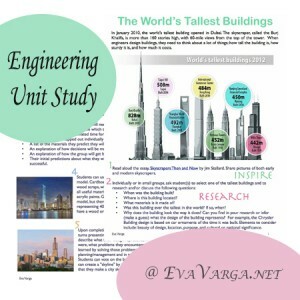 If you are pressed for time or if you are inexperienced in putting together a unit study of your own, CASE OF ADVENTURE makes it easy. 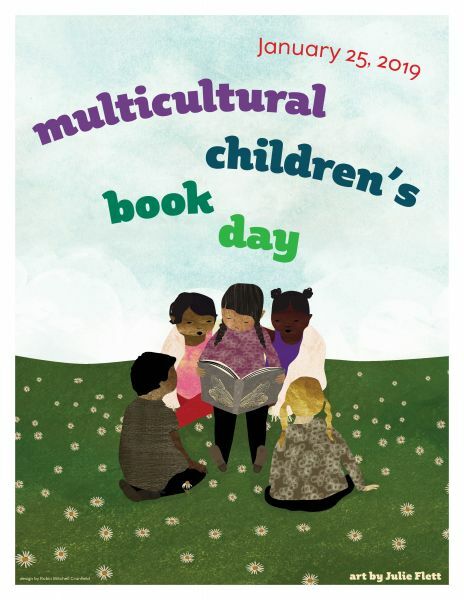 In addition to the great novel, they have also put together a wealth of activities and downloadable resources. Destination Switzerland is available now and Scotland will be available soon. Visit CASE OF ADVENTURE to purchase the Destination Switzerland Unit Study as well as download the FREE Maps Pack and Money Pack to use for your geography studies. You will also find the Mega Travel Activity Pack that goes along with any novel in their series. 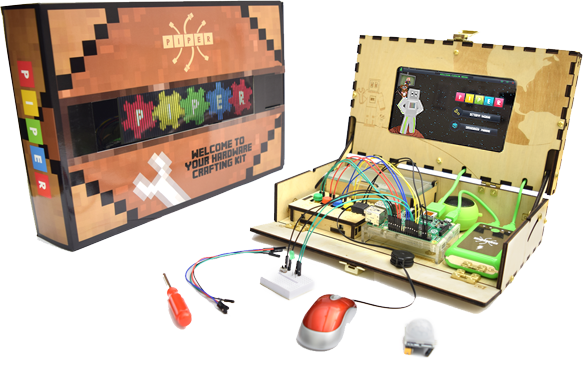 Filled with spy gear and codes – this activity pack will bring the mystery to life, especially for younger kids. My kids have never been very keen on lapbooks and we don’t have a color printer. Thus, what I appreciated best in the activity packs was the teacher manual which provided all sorts of amazing tips and suggestions for integrating Switzerland studies into our daily activities. Worldview: CASE OF ADVENTURE is not a fully secular curriculum. There is mention of Christianity, bible study, and prayer but the curriculum and activities that accompany the novel are not a Bible curriculum. 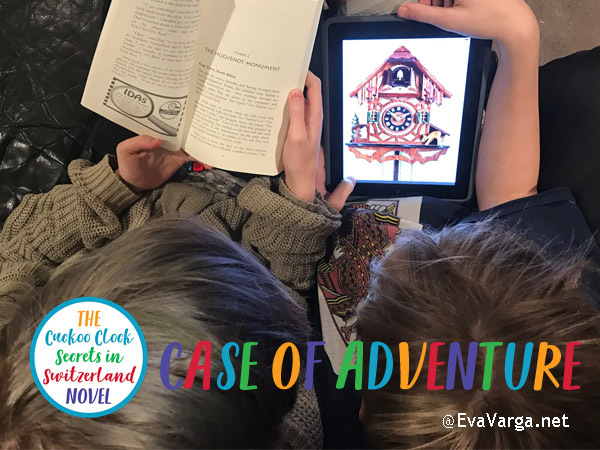 Follow CASE OF ADVENTURE on Facebook and Instagram to learn of future titles and activity ideas. You will also find them on Pinterest. If Twitter is more your style, follow Karyn Collett, the author. Please note the discount is applied to the downloadable products only, not the print book from Amazon. Welcome to Finishing Strong ~ a weekly link-up dedicated to families homeschooling middle & high school kids. Each Wednesday, moms just like you share their best tips, encouragement, advice, and more for teaching older kids at home. Finishing Strong is hosted by me here at EvaVarga along with my friends – Heather from Blog She Wrote, Megan and Susan from Education Possible, and Heidi from Starts at Eight. I know you will find the posts that have been shared with us inspiring! Grab a cup of tea, kick back, and take some time to check out the wonderful posts shared below. What are your favorites? The impact and legacy of our world leaders has been weighing heavy on my mind recently. It is hard not to be aware of the intensity of our upcoming presidential changeover and all that it entails. We have been talking about it a lot in our homeschool and it has coincidentally lined up with our history studies (All American History) and our recent travels to the East Coast. Earlier this week, I reflected a little on what we have gleaned and how we hope to make a difference for others going forward. 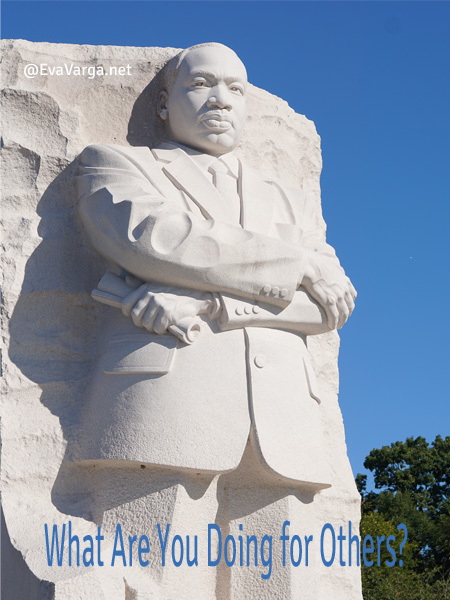 Martin Luther King, Jr.’s question, What Are You Doing for Others? is still relevant today. 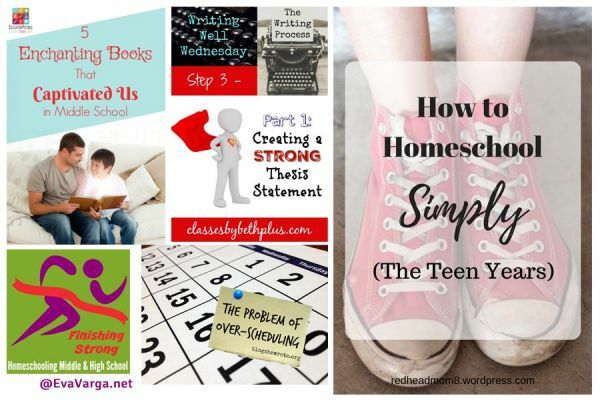 The most clicked upon post last week was How to Homeschool Simply: The Teen Years by Shelly at There’s No Place Like Home. 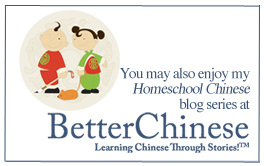 It is the final post in a series looking at how to accomplish a relaxed homeschooling atmosphere. 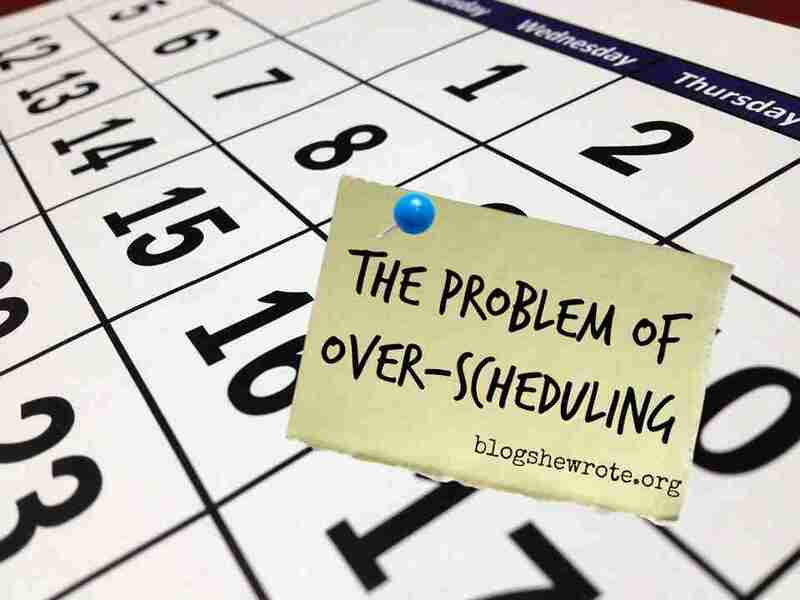 The Problem of Over-Scheduling is something I see frequently; and not just in homeschool families. Just two days ago, in fact, my daughter and I were attending her Venturing meeting and another girl stated that she would not be able to attend the planned kayaking trip because she was just too busy. “I have Venturing, Girl Scouts Travel Patrol, Sea Scouts, Archery, and Cheer Team.” When does she get her school work done, I wondered. When does she relax? I enjoyed Heather’s perspective on this and encourage you all to read it. I remember nearly all these titles, what a fun post! Join Megan at Education Possible as she shares the 5 Enchanting Books that Captivated Us in Middle School. I often share my favorite titles with my own kiddos. It’s a fun way to connect with one another. As always, thank you for helping us to make Finishing Strong a key resource for families who are homeschooling through the middle & high school years. What are you going to share with us this week? Link up to 3 posts from your blog. Make sure you use the exact URL to the post, not to your home page. 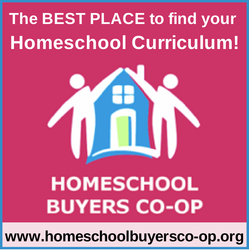 You can add any post related to homeschooling middle and high school students. Posts unrelated to that will be removed. Please no advertising, individual Pinterest pins, Facebook, Twitter, or other link-up links! Grab our button to add to your post after you link it up. Each week we will be choosing our favorite posts to highlight on all 4 sites. If you were featured, we would love for you to use the “I was featured” button. The linky will go live on each co-host’s blog each Wednesday at 6am EST, and will be live until Tuesday at 11:55 pm. Add our button to your post. Grab an “I was featured” button! An art journal is a journal in which you combine art and words to express yourself. That’s it. It’s not complex, and there really aren’t any rules for art journaling. It’s all about self-expression. Art journaling has a long-standing artistic tradition. Artists through the centuries have kept notebooks in which they sketched, practiced, experimented, and recorded themselves. Vincent vanGogh kept notebooks (and he used moleskins!). Picasso and DaVinci were two other prolific sketchbook keepers. You are in good company! If you feel like exploring famous and not-so-famous artists’ sketchbooks, go to Artists’ Sketchbooks Online. Today, artist’s journals are illustrated journals on any theme or combination thereof. It can be a record of your daily thoughts, a travel journal, an exercise or diet diary, a dream journal, a place where you jot down your goals, a to-do lists, or almost any record that you’d like to keep. There are many different types of art journals. Ones revealing travel adventures, ones for writing and drawing about everyday life, ones that mark certain life events or struggles. The following are just a few ideas for themes. Looking Inward – who am I as an artist, citizen of my country, student, sister, brother, etc. My Favorite Things – paint or draw all of your favorite things like a warm cup of cocoa, jumping in the lake on a hot day, etc. My Favorite Quotes – paint your favorite quote, poem, Bible verse and use some of the words in the art. 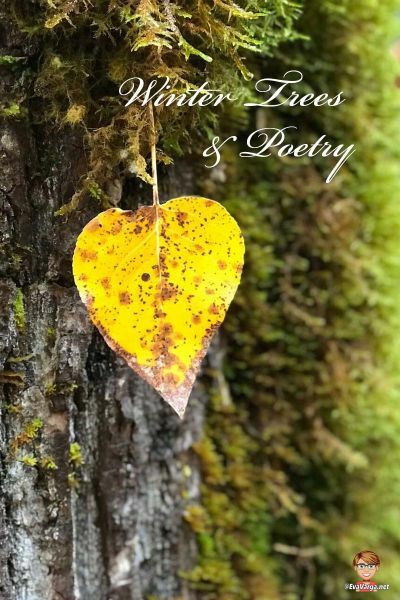 Seasonal Journals – pick a season and journal all things of that time of year. Emotions Journal – a specific journal to express ones emotions through art. Reading Journal – record impressions of thoughts or short reviews of books that you have recently read. Today I Know – coupling lots of journaling with doodling, sketching, and collage, this journal format is fabulous for reflecting on what you’ve learned or discovered each day. Journaling, as part of a school curriculum, strengthens and refines students’ cognitive skills by teaching them to observe, to become aware of what they have observed with all of their senses, and, to exercise their imaginations and critical skills through developing hypotheses to explain what has been observed. Using a journal allows students a place to record and preserve what has been seen, done, and thought in the course of her work. 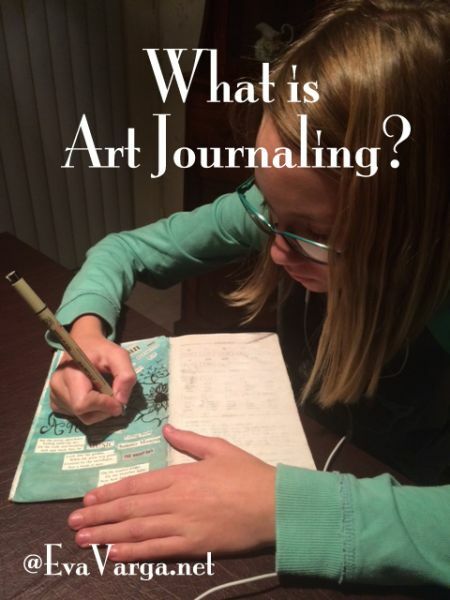 Art journaling is also a great way to integrate art into your language arts and science curriculum. 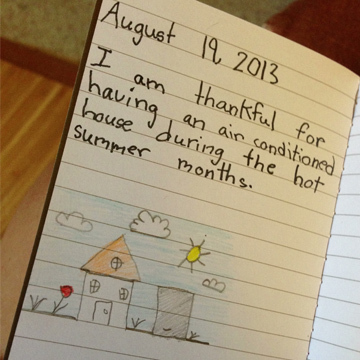 The journals can become a place for creative writing and personal reflections. If you encourage students to write personal material in the journals as in a diary, you can give them the option of folding a page over on itself to indicate that the contents underneath are something that they are not yet ready to share. If they later decide that they do want you to look at the page, they can unfold it and let you know. In our homeschool, we predominately use our art journals as a method of trying new art techniques or media. However, we also use it as a reading journal, creating a visual or artistic impression of books we’ve read. Student writing will often naturally lend itself to creative expressions of art. Here a just a few ideas to get you started. What do the characters in the book we just read look like in your mind? Imagine a future in which we each have a personalized robot servant. What would yours be like? What would it do? What features would it have? Use both words and pictures to describe your robot. What road-trip would you take if you suddenly could? Write about it. Sketch a picture of what you might see. Choose a favorite quote. What images does it bring to mind? Write a description of something very dark (like a crow) in a very light place (like a field of snow). Make the dark thing seem innocent and the light thing seem ominous. Pick two characters from different books you’ve read this year. What would they say to each other? What would they do – go for a walk, enjoy a meal, or ? Follow Michelle Cannon’s board Art Journaling on Pinterest. This upcoming school year promises many new challenges and experiences for us. We are very excited to be moving back to Oregon, more specifically to the southern coast where Patrick and I both grew up. While we will be surrounded by family, the transition will not be without obstacles. 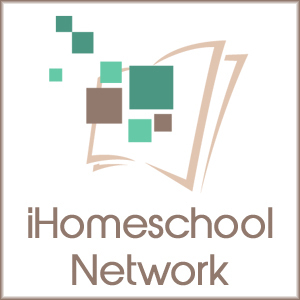 The homeschool community is much, much smaller compared to the previous two communities in which we have lived (Bend, Oregon and Redding, California). Therefore establishing connections may require a little more effort on my part. 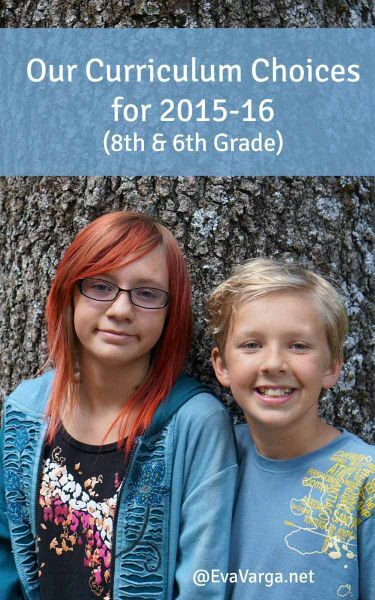 Geneva will be entering 8th grade this fall while Jeffrey will begin 6th grade. I will continue to teach the same material to them both. Their skills are relatively equal in most areas so as a homeschool mom of two – it works. Best of all, it requires less planning on my part. 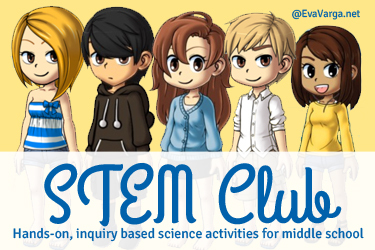 These past couple of years, I have been coordinating STEM Club for our local homeschool community. With our move, I have decided to step back from this for awhile and see what opportunities are available. My daughter has also expressed interest in volunteering at the local interpretive center as well as initiating a long-term study of the impact of invasive turtles on the local ecosystem. 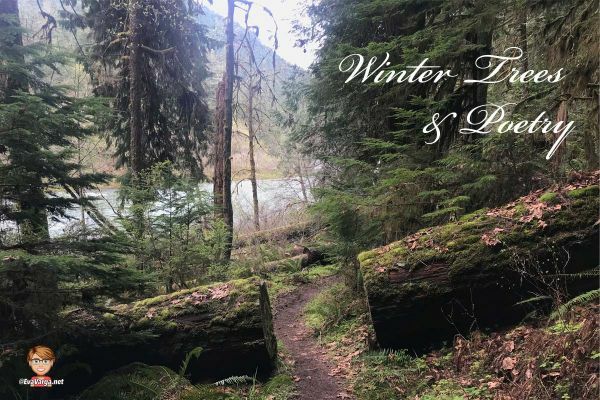 As we will be living on the Oregon coast, the ecology is significantly different than that of the High Desert or the Central Valley and Cascade Foothills of Northern California. I am very excited to explore the area more in-depth with the kids. 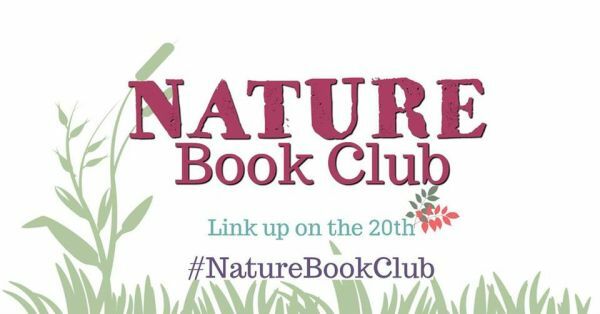 We will thereby be resuming our regular nature studies in conjunction with Barb’s monthly Outdoor Hour Challenges at Handbook of Nature Study. Both kiddos have asked to learn more about astronomy so I will be putting together lesson plans and projects to follow their interests. 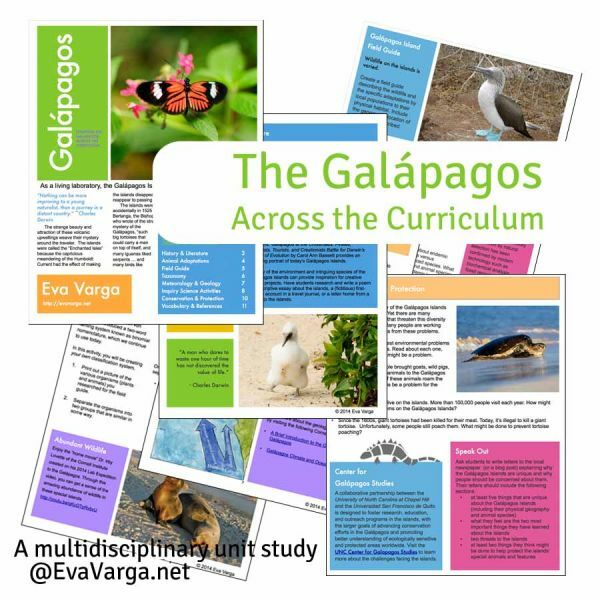 Thus while I will continue to develop my own curriculum for science, we will be engaging in lessons independently rather than with a small group of other homeschoolers. I will also be require more reading of each of the kids. 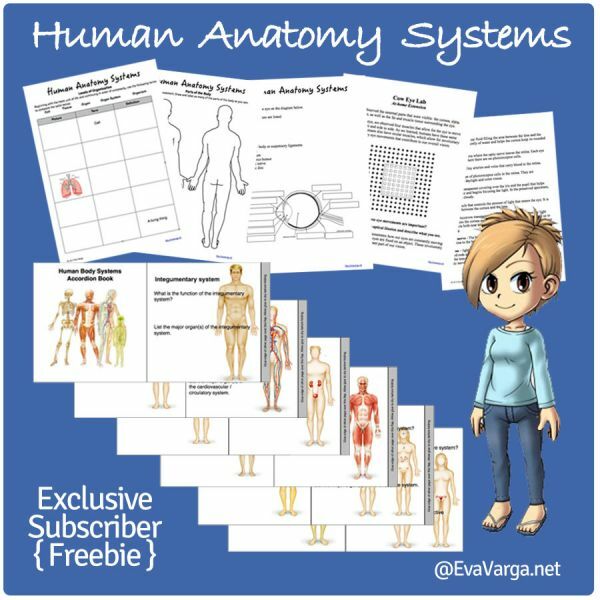 I will be using CK-12 Life Science and CK-12 Earth Science in addition to other free science curriculum I’ve found. Life of Fred has been working very well for us since we transitioned from Singapore 6B a couple of years ago. Jeffrey is presently in the middle of Pre-Algebra 1 with Biology. Geneva is using Advanced Algebra. When they struggle with a concept, we have used Khan Academy. One of the biggest benefits of our move is being close to family. Patrick’s uncle is a retired high school math teacher. We will be reaching out to him in hopes of meeting once every couple of weeks to go over their assignments. This will be a huge relief for me as I always struggled with algebra myself. Additionally, we will be looking into the possibility of concurrent enrollment for math at the local community college. We utilized a few Brave Writer Boomerang single issues a bit last year. We liked it but I just didn’t follow through and plan ahead as I should have. I know I need to do better. 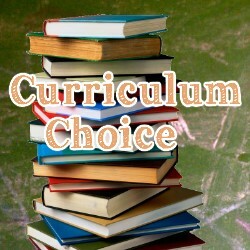 My goal therefore is to create a plan or a list of books for each of the kids for the upcoming school year. I will be sharing more details on this when I’ve mapped it out better. We will also begin an in depth study of the history of English utilizing King Alfred’s English. This unique combination study of both English and history will provide a look at words, grammar, Shakespeare, the Bible, and language. The supplemental activities and materials (including primary sources!) 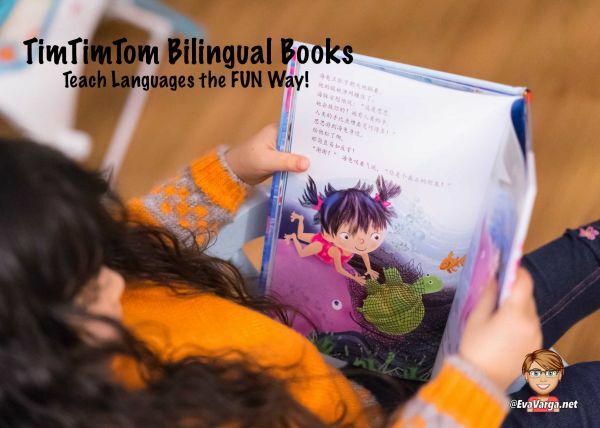 provided on the website will help guide us – we are very excited to explore our language from this perspective. 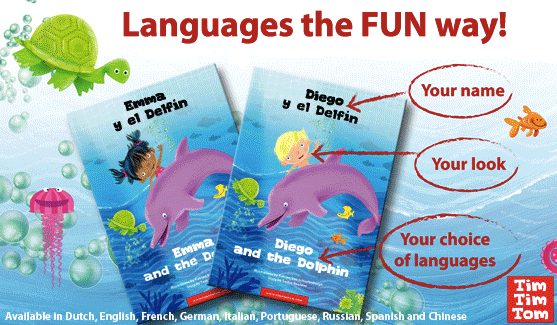 Fluency in a foreign language is very important to me. 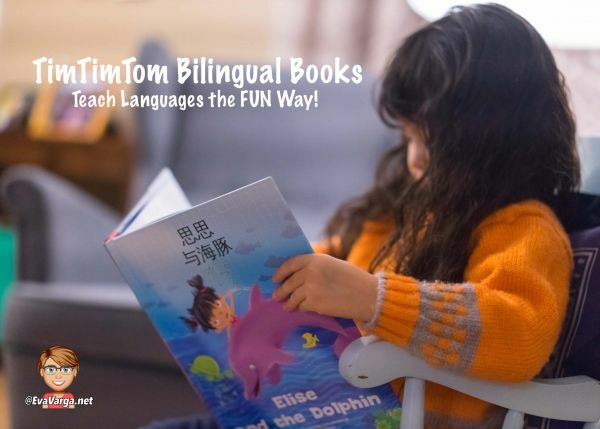 My daughter expressed her interest in learning Chinese when we were just beginning our homeschool journey so that is the path we have followed ever since. 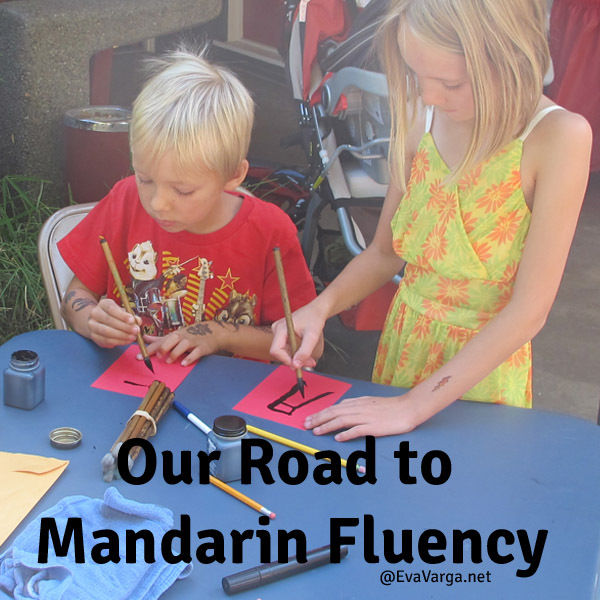 I have shared a little about How I Teach Mandarin previously. Though Shawn has moved across the country, we have had success with continuing our Mandarin language instruction via Skype or FaceTime. 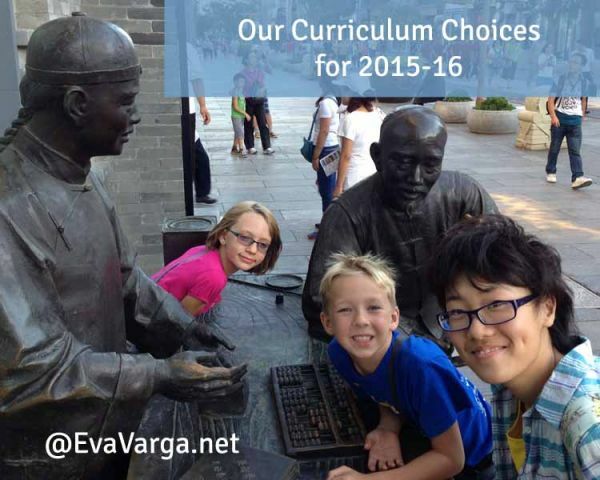 We will continue to use Discovering Chinese Pro, the middle school curriculum developed by Better Chinese. Our Road to Mandarin Fluency has been very rewarding as we’ve been able to travel to China as well as make life long friends. We have taken some time off these past couple months as Shawn was traveling back home to China, conflicts with summer camp, and soon our travels abroad. We plan to resume our regular twice a week sessions come late September. At summer camp, the kids are learning Norwegian. I would really like to continue incorporating our ancestral language into our weekly lessons but I always slip up. Perhaps our move will ensure I stick with it. We shall see. We love to travel and like most, we learn best by immersion and first-hand experiences. Thus, to really understand the history of ancient Greece and Rome (our focus this past year has been ancient times), we will be traveling abroad with Trafalgar. 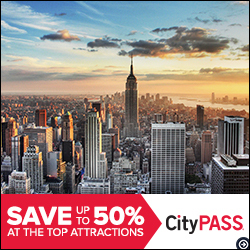 We will first spend ten days in Italy (Rome, Venice, Florence, Naples, Assisi, and the Italian Lakes) followed by Athens and the islands of Mykonos and Santorini. I will be sharing snippets of our trip along the way via Instagram and I’ll post more in-depth travel posts soon. To prepare for our trip, we have been moving very slowly through Susan Wise Bauer’s The History of the Ancient World . We are only half-way through the book so we’ll continue to work through it upon our return. Hopefully, by January we will move on to the medieval times. So much for my original plan of following a four year cycle; it takes us 6 years! Additionally, we will continue to incorporate activities from North Star Geography. 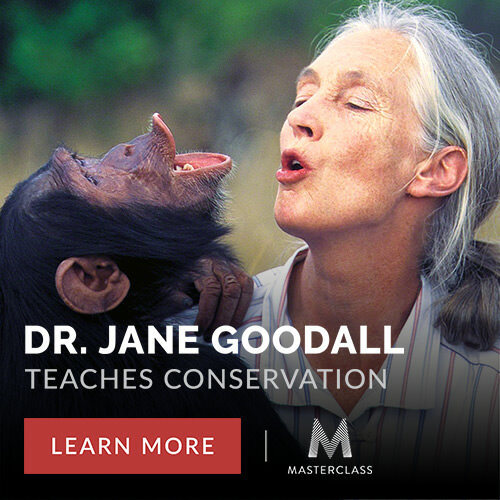 Designed specifically for middle and high school ages, it is an engaging Geography curriculum. We are excited to continue with this program and will be creating our own world atlases (one of the many projects described in the companion guide). The kids are both adamant they want to continue to study music. I am confidant we will be able to find a piano instructor for Jeffrey. I am a little apprehensive for Geneva, however. The preliminary leg work I have done thus far has only generated one name and she is only available intermittently for one year as she is a graduate student and will be relocating at the end of the school year. The community has a great lab band but there is youth symphony is not an option. I’ll have to reach out to the local schools to inquire whether they accept string instruments. 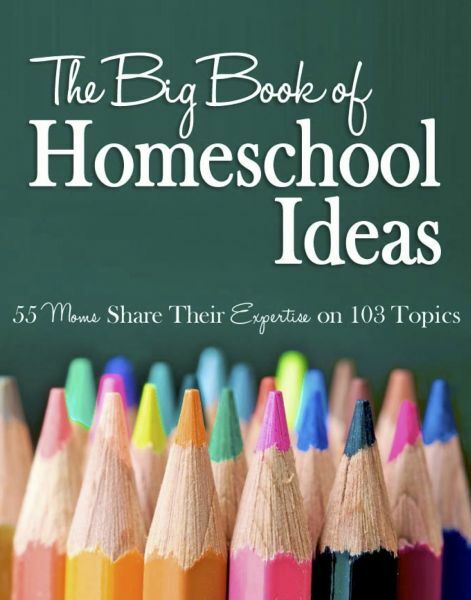 To get tons of great advice, and move beyond the basics of academics, pick up a copy of The Big Book of Homeschool Ideas. Topics include active learning, inquiry science in middle school, learning with video games, using LEGO bricks for learning, teaching on the road, learning with movies, high school literature, and stamp collecting. Working from home as well as homeschooling my kids requires me to be organized. As I have every year for the past six years, I will be using the Well Planned Day homeschool planner. I have tried a few others when we first began homeschool and I have perused others, yet I keep coming back to this one. It just works for me. I love that it provides templates for meal planning as well as keeping track of the books the kids have read and an ongoing record of their grades. They have student planners available as well but my kiddos prefer that I send them an email each week. They thereby create a note on their iPad and delete each assignment as they go. This post has been linked to the 2015 Not Back to School Hop. Join the fun!